A couple of interesting conference presentations recently … Firstly, our work using low-cost GNSS technology and lidar to monitor ground motion related to gas storage was part of a multi-faceted project with Humbly Grove Energy, Geoenergy Durham, Geomatic Ventures Ltd, and Durham University, and was presented by Jon Gluyas at the UK Energy Storage 2018 (UKES2018) conference in Newcastle. This work is likely to be submitted for publication, so please contact us if you’re interested and we’ll keep you informed of progress. We’re also currently running research projects using a similar low-cost GNSS approach in earthquake monitoring and volcanological monitoring; again, contact us for more information if this is of interest. Also this month – European interest continues to grow in geothermal energy. Following last year’s successful IGA/AAPG Geothermal Cross-Over Technology Workshop in Durham, this year’s edition crossed the North Sea to Utrecht. Susie headed our presentation on “Characterising and understanding fractures, karstification, and surface fissures related to active rifting: processes and implications for geothermal reservoir development”. 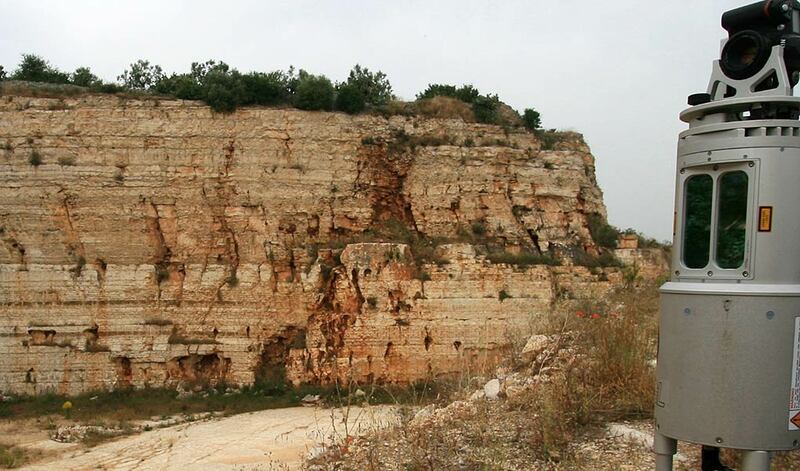 Karst is an interesting aspect of fracture systems, with good potential for big volumes, and very big flow rates!